New Exodus Trailer, Starring Christian Bale! Christian Bale has played all of these heroes in his movies. This year, he’s adding Moses to the list. 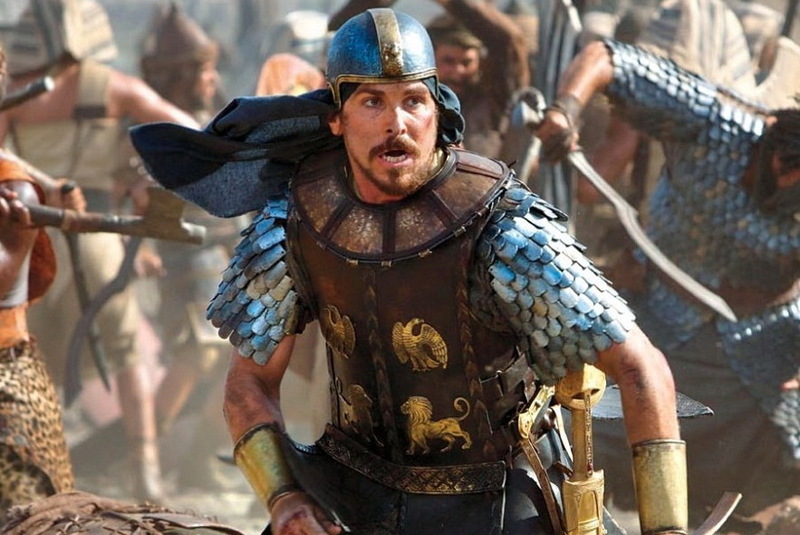 You have to watch the brand new trailer for Exodus: Gods and Kings. The film, coming December 12th, depicts the biblical story of Moses: an Israelite prophet leads his enslaved peers out of Egypt. Ridley Scott, of Blade Runner and Alien fame, directed the new movie. Bale’s not the only big star, though. Aaron Paul, Sigourney Weaver, Ben Kingsley, and Joel Edgerton round out the impressive cast. It’ll be interesting to see Scott’s take on Moses and the Exodus story. It’ll also be interesting to see the buzz the movie provokes about the Exodus itself. Did it really happen? For an incredibly objective take on this complicated issue, see a fantastic interview with Carol Meyers, a famous Duke scholar. By the way, I’m listening to the real soundtrack for The Ten Commandments right now. Sorry I’m not sorry. What do you think about these movie trailers? Do you want to see Exodus: Gods and Kings? ← Jesus’ Resurrection: Don’t We Know Better Now?